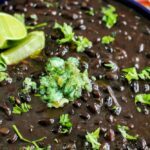 Straight from the Island to your kitchen this authentic Cuban black beans (frijoles negros) recipe is easy to make and ready in no time with the help of the Instant Pot! What Spices Are In Cuban Black Beans? I mentioned that these Cuban black beans are simple, right?! The spices used are ground cumin, salt, and black pepper. I also add two bay leaves to the Cuban black beans. 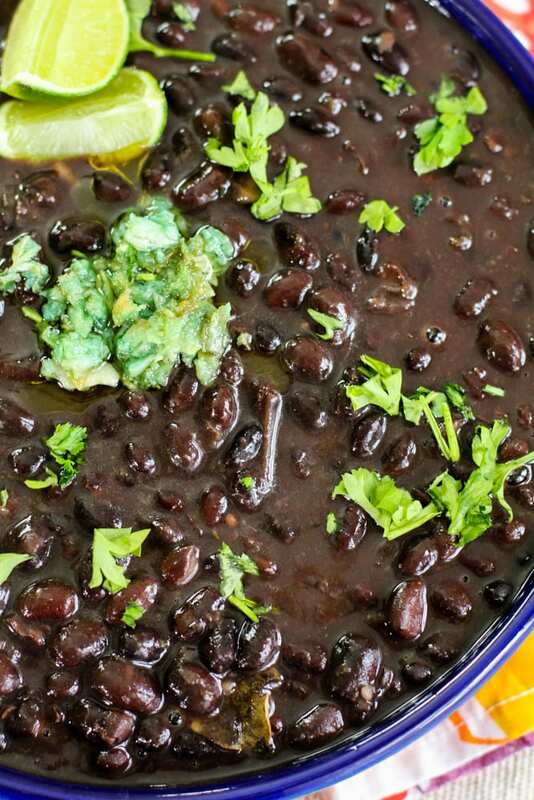 Cuban black beans, known as frijoles negros, is a staple in every Cuban home. 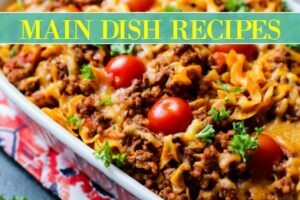 This dish is simple to make, and filled with flavor. 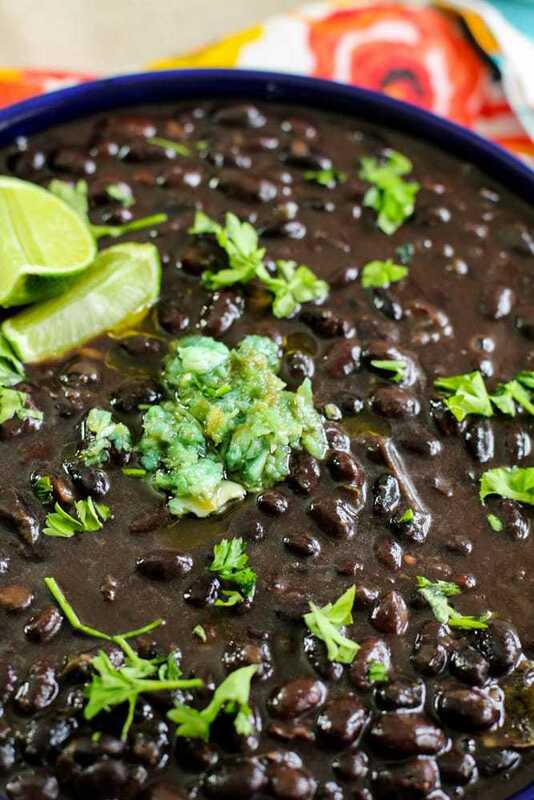 What makes the Cuban black beans is the sofrito. 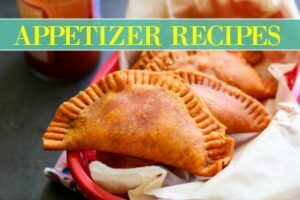 Unlike my Puerto Rican Sofrito, this Cuban sofrito for black beans is as simple as heating good quality olive oil in a small pan, and sauteing chopped onions, chopped green peppers (or aji dulce for an even more authentic take), and garlic. The garlic can be smashed in a pestle and mortar or minced. Traditionally, dried beans should be soaked in water at least 4 hours to soften your beans. 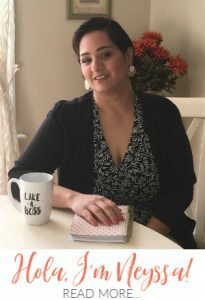 Since we are using the Instant Pot, I suggest just soaking your beans for an hour -but it’s a step you can honestly skip! After your beans have softened (if that’s what you decided), drain the water from the beans and set it to the side. Now you can either make the sofrito in a separate pan and add it to the Instant Pot, or press the saute option (set on low) for 5 minutes, allow your oil to warm and add your onions, peppers, and garlic to it. Once it becomes softened, add your seasonings EXCEPT YOUR SALT, bay leaf, and beans. Salt should be added after it’s cooked since it will harden uncooked beans. Give it a nice stir, add in about 8 cups of water for a looser Cuban black beans dish. 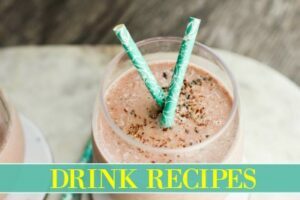 If you’d like it really thick and to can you can use about 6 1/2 cups. I personally love for there to be extra broth that just soaks into the white rice or for leftovers to make Cuban congri. 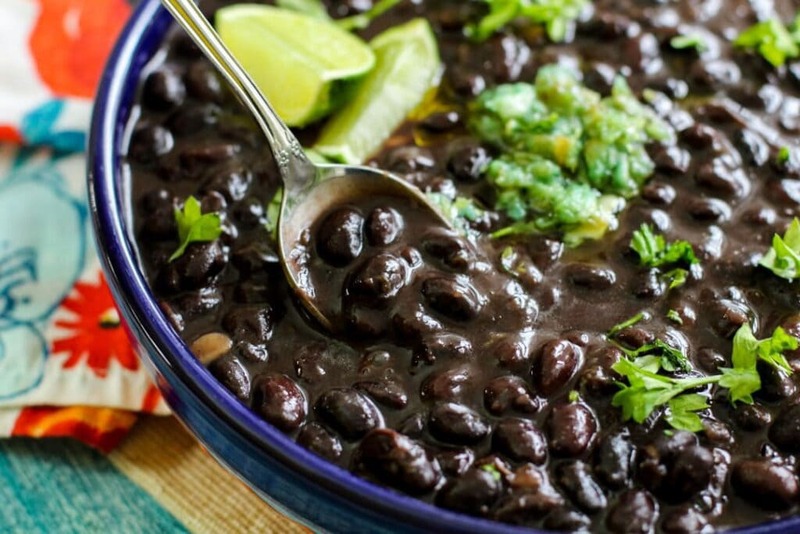 Once it’s all in the Instant Pot, close the lid, set it to sealing and cook for 40 minutes for a super tender Cuban black beans recipe. Once the timer is up, hit cancel and allow it to naturally release for about twenty minutes. Now for the magic, when it’s safe to open the lid, you’re going to give it a gentle stir and add salt to season it to your liking. Now for the secret ingredient… white vinegar! Add about a cap full (1/4 teaspoon) of it to your beans, I promise, it helps enhance all of the natural flavors. 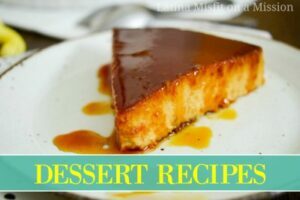 You could use lime juice instead if desired. BONUS TIP: Make a simple garlic sauce by adding a few cloves of garlic with a pinch of salt to a pestle and mortar, smash it, add it to a small amount of heated oil in a pan, after about 30 seconds. Turn off the heat and add in a splash of white vinegar or lime juice. Add more salt if necessary and pour over your portion of Cuban black beans. It is SO FREAKING GOOD! Smash a few beans when the beans are done to thicken the broth. Make a simple garlic mojo to top your rice for a wow factor. Double the recipe or reserve a few cups to make Cuban congri. 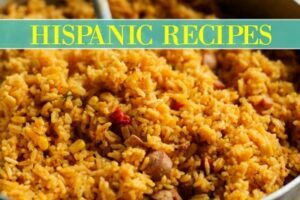 Sprinkle with fresh cilantro and serve with white rice, plantains, and avocado. If possible, use aji dulce (small sweet peppers). 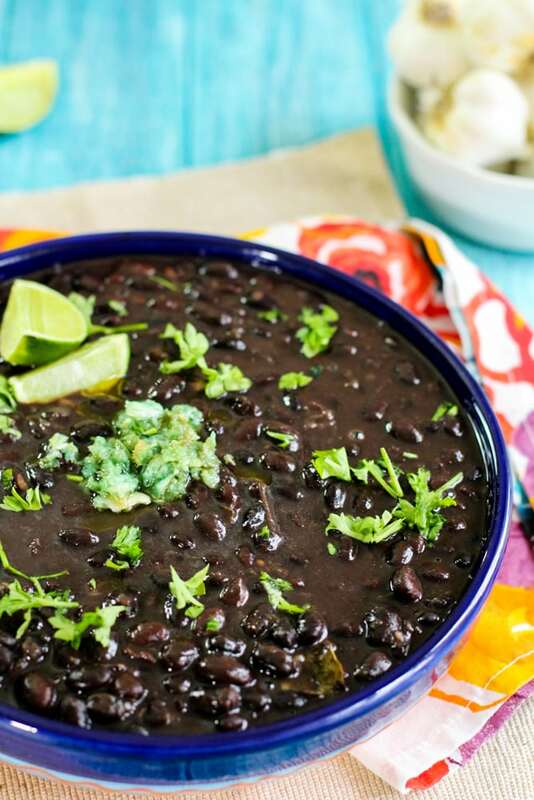 Simple and flavorful, these tender Cuban black beans are a classic on the Island, served best with white rice and a side of lime and avocado. In a large bowl soak beans for 1 hour. In a mortar and pestle, smash garlic and salt together to create a thick garlic paste, set to the side. In the Instant Pot hit the saute function for 5 minutes. Heat oil and add in the onion, green peppers, and smashed garlic. Cook for a few minutes and add in the cumin and oregano. Stir often to keep from burning. Next, add in water and bay leaves, mix and add in black beans. Cover with the lid and set to sealing. Cook on high pressure for 40 minutes. Once 40 minutes are done, press cancel and allow to naturally release for 10 minutes before using quick release. Once lid is off, stir gently, and add in white vinegar and taste for seasoning. Add salt if needed. Hi Kyra, yes! This is definitely yummy. Hope you enjoy it, keep me updated. 🙂 Thanks for visiting!